A child’s mouth and face can be easily injured if the proper precautions are not used while playing sports. In fact, according to the Center for Disease Control, more than half of the 7 million sports- and recreation-related injuries that occur each year are sustained by youth as young as 5 years old. Last year, the National Youth Sports Safety Foundation forecasted that more than 3 million teeth would be knocked out in youth sporting events. 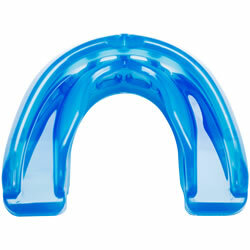 Parents are encouraged to talk with their dental professionals about the right mouth guards for their young athletes, and to urge coaches to require that young athletes wear their mouth guards at every practice and every game.